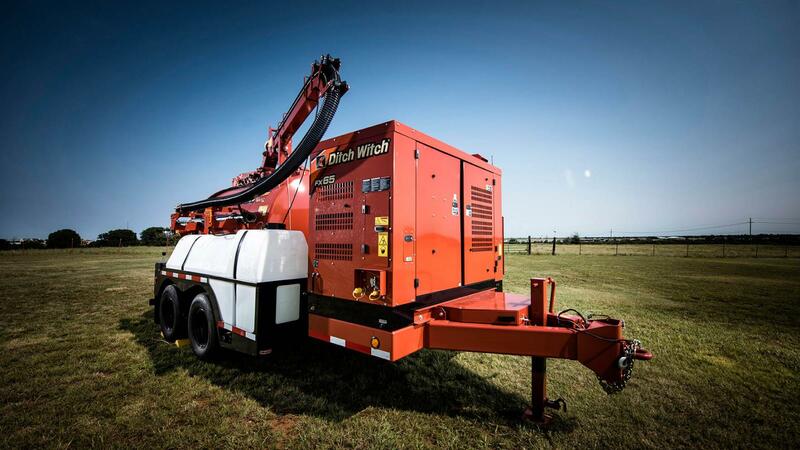 Options include a choice of 500-, 800- or 1,200-gallon (1893-, 3028-, 4542-liter) vacuum tanks and choice of 200-, 300- or 500-gallon (757-, 1136-, 1893-liter) water tanks to meet the requirements of virtually any size job. 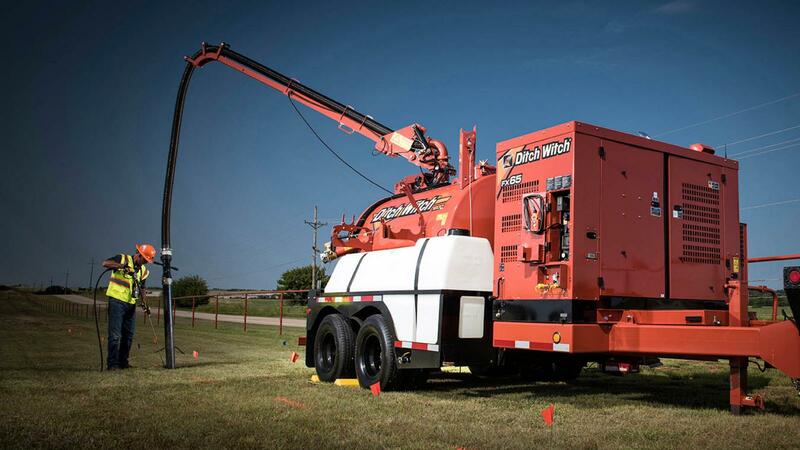 Applications include potholing to expose buried utility lines, directional drilling site cleanup, water leak repair, valve box cleanout, utility vault cleanout, commercial and residential debris cleanup. System may be ordered from the factory either trailer-mounted or as loose components for mounting to a skid or flatbed truck. Optional water heater keeps water system from freezing in inclement weather and increases wintertime productivity and production in tight soils. 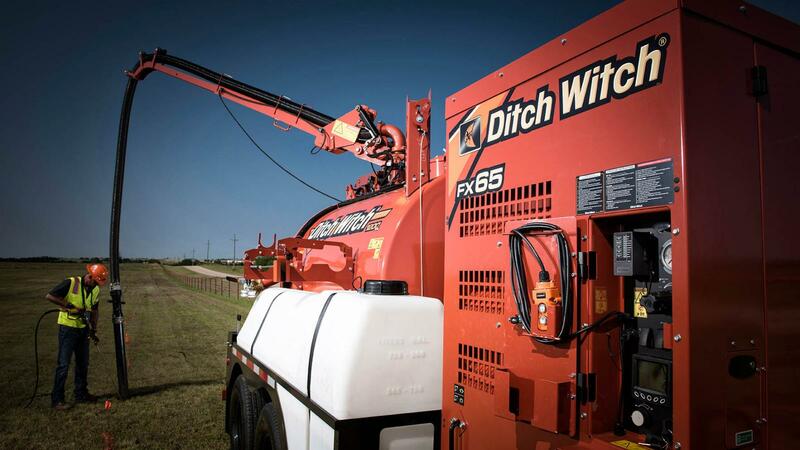 Leads the industry in quiet operation at 82 dBA; The FX65 includes a larger silencer to further reduce noise for minimal disturbance in noise-sensitive areas and greater operator comfort. Easily accessible controls and service points; curbside controls provide greater safety and convenience. 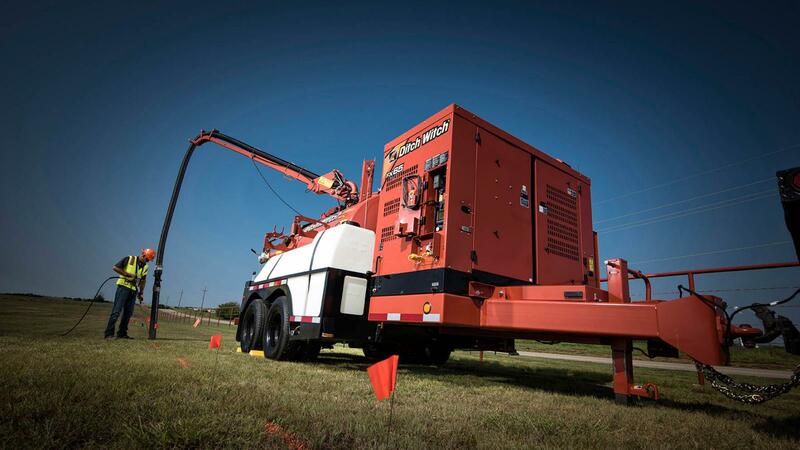 Easy access to power pack for convenient servicing. Standard hydraulic door opens fully horizontal to maximize the efficiency of spoils removal; door also features hydraulic locks. 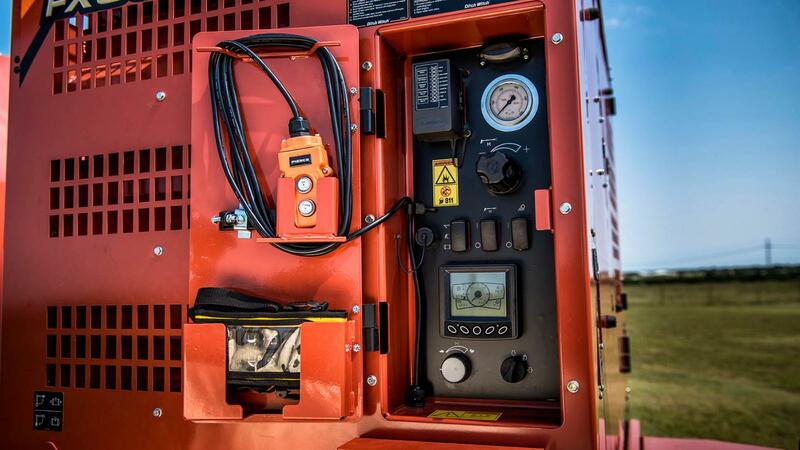 Fully enclosed, insulated and lockable power pack protects major components from weather and vandalism while leading the industry in noise reduction. 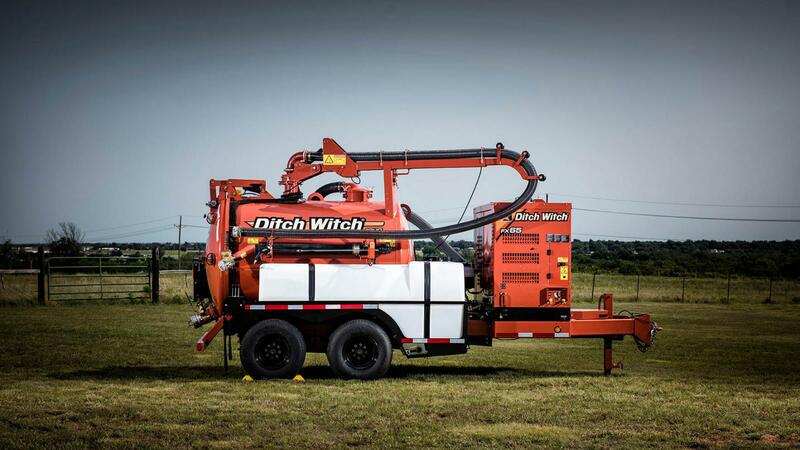 Optional remote control hydraulic boom rotates 270 degrees and extends to 14 ft (4.3 m) saves labor, time and reduces operator fatigue. Most productive unit on the market in this size class with airflow optimized to maximize efficiency for highest performance output. 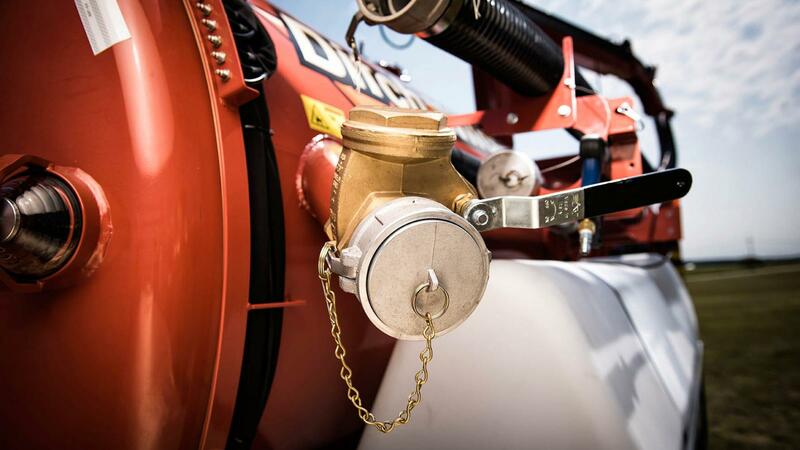 74-hp (55-kW) turbocharged Deutz Tier 4 diesel engine powers the FX65’s outstanding suction and water pressure. Optional engine configurations available in less regulated countries. 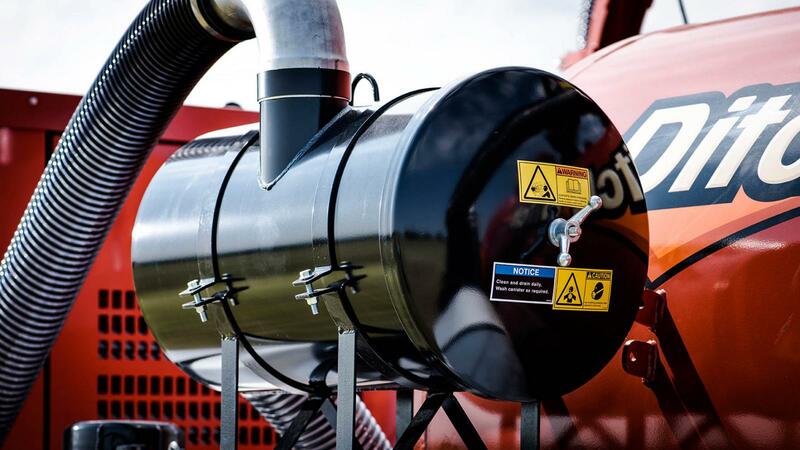 1,215 cfm (34.4 m3/min): highest airflow on vacuum excavator trailer for the lowest investment on the market. 20 percent more performance than the competition. 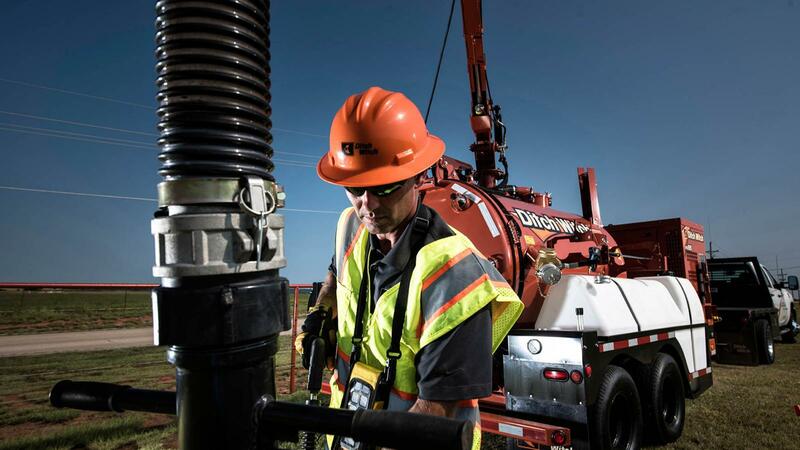 Auxiliary hydraulic power system powers a variety of jobsite tools, everything from impact wrenches to jackhammers. Three stage filtration includes a cyclonic filter which cleans the air before it reaches the filter and a 0.5-micron washable vacuum filter. 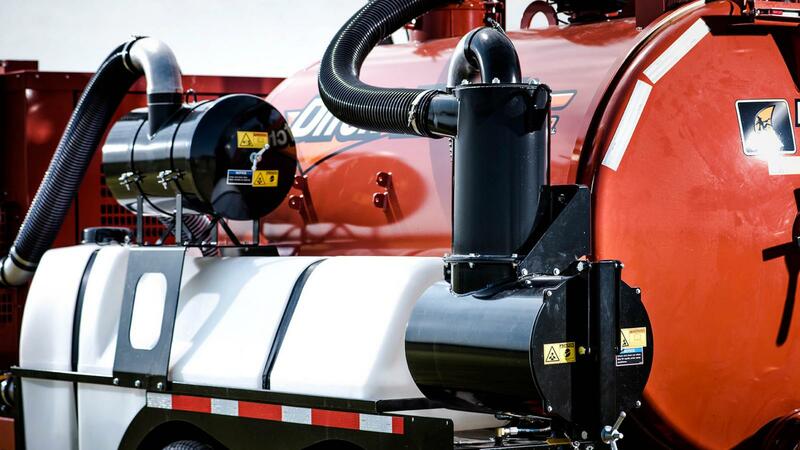 An additional blower relief air filter provides the industry's best filtration for maximum protection of key components. 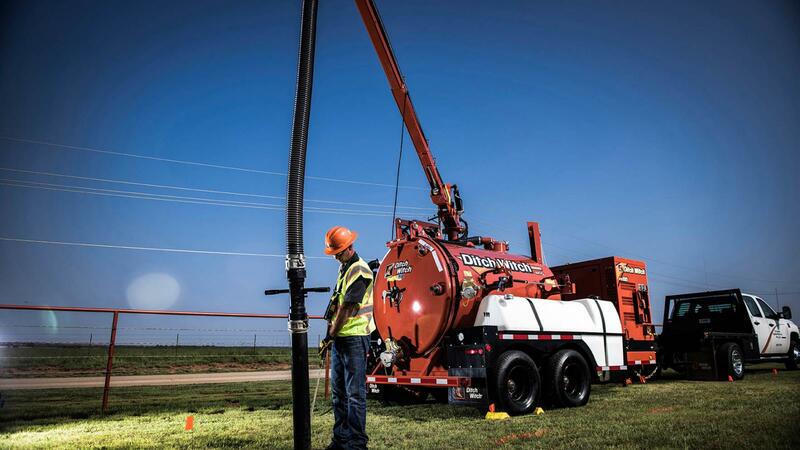 Saddle-style tanks give the 1,200-gallon (4542-L) FX65 vacuum excavator a lower center of gravity and enhance trailer balance. 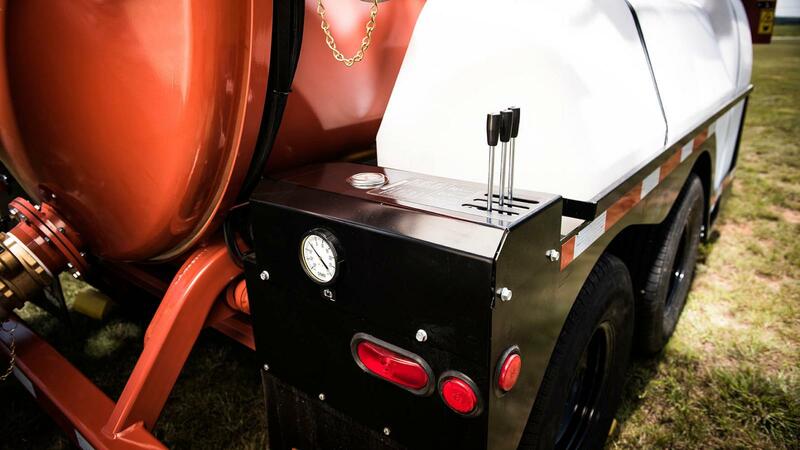 Heavy duty FMVSS compliant trailer comes standard with toolbox storage to enhance trailer balance.